The inevitable has finally happened. 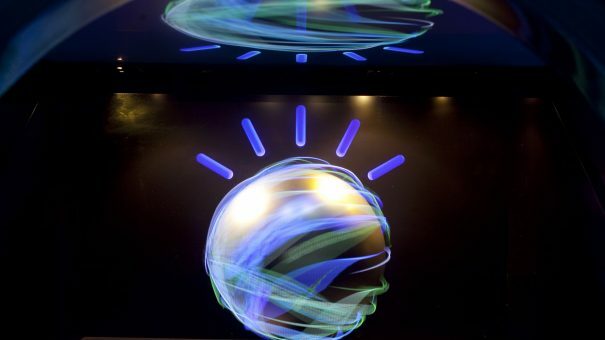 A crack has formed in the supposedly perfect portrait of an IBM Watson-powered future with the news that the ground-breaking partnership between the AI powerhouse and renowned cancer research institution, the MD Anderson Cancer Center, has halted. 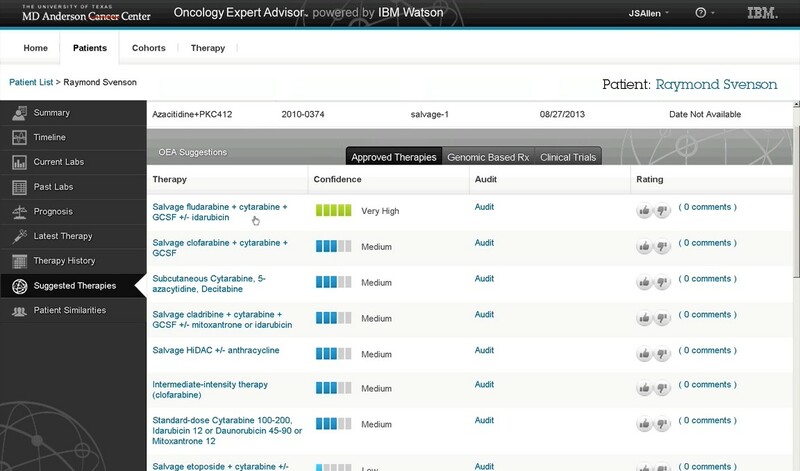 Formed in 2013, the partnership aimed to use Watson to help oncologists reach better-informed, and potentially more effective, treatment decisions. This resulted in the Oncology Expert Advisor (OEA) – a solution that creates treatment recommendations for clinicians based on insights extracted from the latest clinical research. Regardless of reports suggesting MD Anderson employees were impressed with the product, the partnership has been on ice since late last year, following an audit report issued by the University of Texas. According to the report, the system hadn’t performed to its promised high standards, failing to meet deadlines, swapping between end goals and being incompatible with the Center’s new electronic medical records system, despite a massive $62 million backing. The report also highlights erroneous activities by Lynda Chin, former chair of the MD Anderson Department of Genomic Medicine, regarding the organisation’s own policies and procedures. Six out of seven service agreements, for example, did not undergo a competitive bidding process, and project fees were set ‘just below’ amounts that would require Board approval. MD Anderson is now looking for better suitors to help create a feasible product using AI, akin to that of its long-time rival Memorial Sloan Kettering’s Watson for Oncology platform. Despite failures in management of the Watson collaboration, clinicians were reportedly impressed with the AI’s ability to inform decisions. It is easy to think that AI may not be as promising as first thought. However, the audit stated that the findings ‘should not be interpreted as an opinion on the scientific basis or functional capabilities of the system in its current state’. Rather, the halt is the result of planning and logistic issues. Meanwhile IBM Watson Health continues to push forward, announcing deals with both Atrius Health, to help drive doctor-patient dialogue, and the Central New York Care Collaborative (CNYCC), to create a cognitive population health platform. This setback is simply the first obstacle on the road to an AI revolution. Despite many vaunting wearable technology and mhealth solutions, their legitimacy has been called into question again. Speaking at the American Association for the Advancement of Science (AAAS) annual meeting in Boston, Dr Greg Hager of John Hopkins University this week highlighted his concerns, describing them as possibly ‘doing more harm than good’. Hager took exception to step counters that encourage walking 10,000 steps a day specifically: “Why is 10,000 steps important? What’s big about 10,000?” He went on to explain the origin of the number as a figure devised in Japan where an average man would burn around 3,000 calories if he did that. There have been questions raised over the quality of many health apps claiming to treat conditions. The problem lies largely in the discrepancy between app and medical device – an issue UK regulator the MHRA tried to address by updating its guidelines towards the end of last year. Interestingly, the news came in the same week that non-profit apps standards alliance Xcertia unveiled more details about its plan to tackle the problem. Of course, there are some successful health apps. Last month, for example, the NHS revealed positive data for its Parkinson’s app uMotif which resulted in a 10% increase in medication adherence over a period of 16 weeks. Read more: Digital Health Round-up – can Xcertia clear the health app confusion? A study into the barriers to digital health adoption in the UK have highlighted three key obstacles: a lack of IT infrastructure, uncertainty around information governance, and trust in the security of digital health platforms. 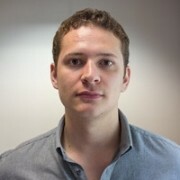 Led by researchers at the University of Glasgow in collaboration with the University of Strathclyde and Newcastle University, the study evaluated the Delivering Assisted Living Lifestyles at Scale (DALLAS) programme, carried out between 2012 and 2015, an initiative intended to design and implement digital health products to encourage preventative and self care. According to the team, barriers remain at every level, including marketing and policy, organisation and the general professional and public population. They offer 10 key recommendations, including: intensive engagement, clinical endorsement, better training, more investment in digital health, support for those not ‘digitally fluent’, and upgrading the technical capabilities of the NHS. “Digital health is a huge market with the potential to make a massive impact on society, but making it a part of routine care delivery has been much slower than expected,” said Dr Marilyn Lennon, first author of the study. “This is not due to any lack of technical innovation, but to uncertainty over the role of technology in delivering care.